Everyone makes mistakes, and eBay buyers are no exception, which is why the e-commerce corporation sets guidelines for canceling bids. Generally speaking, eBay doesn't encourage the cancellation of bids and tends to take a hard line on them. In the event you do need to cancel a bid, though, you'll need to take certain steps. Review the conditions and time restrictions for canceling a bid in an auction-style listing. If you feel you have a valid reason for canceling a bid, fill out a Bid Retraction. Navigate to eBay's Resolution Center to find out how to access the Bid Retraction form on the eBay site if the link above doesn't work, or you otherwise have trouble locating the page. If you bid by mistake and actually won the item, the steps are different. Contact your seller through the eBay messaging system and explain that you want to cancel the sale. While sellers will be disappointed, most will honor the request and move on. Sellers only get a strike against them when they cancel sales because of damaged or missing inventory. eBay sellers cannot force buyers to pay, so if the seller makes any threatening or harassing statements, report them to eBay Customer Service. Best Offer is another situation where buyers may change their minds. Here again, sellers are not happy to hear that buyers want to cancel a sale. For many, eBay is how they earn their living. But buyers have the right to cancel a sale. Again, contact the seller and ask to cancel the transaction. Neither trading partner will be able to leave the other feedback since the transaction isn't completed and money isn't exchanged. 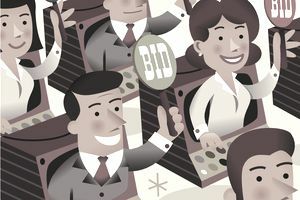 For eBay, bidding is a buying commitment, which is why the company takes such a strong stance on bids. In most cases, bidding on an eBay item creates an actual binding agreement. Frequent bidding and then canceling a bid is not an accepted practice, and too many retracted bids can result in eBay closing your account. While no transaction on eBay is set in stone, respect the platform and the sellers, and understand that bidding and offers are commitments to buy. There is Cash Hiding in Your Kitchen Cabinets! Can I Change My Mind About an eBay Sale?